The city of Laranca lies on the south east coast of the Mediterranean island of Cyprus. 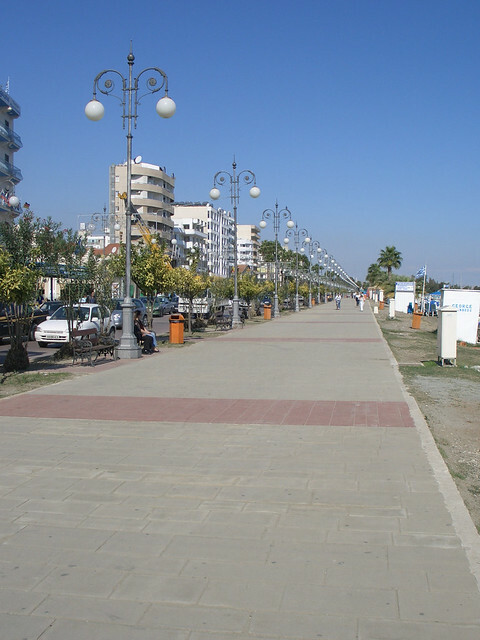 It has a long prom along the seafront with plenty of cafes and restaurants close to the beach. 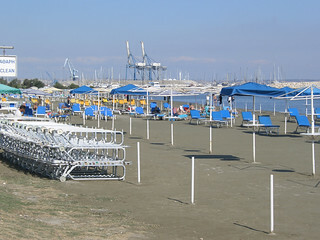 The main city beach Finikoudes gets very busy in the Summer but there are some quieter beaches outside town such as McKenzie and Castella. 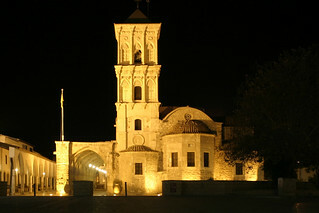 St Lazarus Church is one of Larnaca’s landmark buildings. St Lazarus is the patron saint of Larnaca, who after his resurrection by Jesus, travelled to Cyprus. The church was originally built in the 9th century to house the saint’s remains. St Lazarus Church was restored in the 17th century. It’s free to get into the church but it’s closed in the middle of day. There are 4 interlinking salt lakes 3 miles to the west of Laranca. During Winter, when the lake is full of water, thousands of flamingos live here. The intense heat of Summer means that most of the water evaporates leaving dried up salt which used to be gathered for local use. 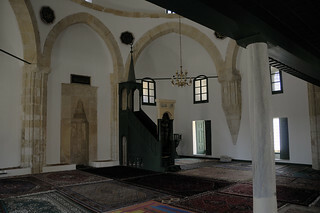 The Hala Sultan Tekke Mosque is situated on the shores of the lakes. The Alpha Divers school in Larnaca caters for all diving abilities. They organise dives to explore the wreck of the Zenobia. This ferry sank close to Larnaca,Titanic style, on its maiden voyage in 1980. For those interested in history, Ancient Kition has several temples dating from the 13th century BC. The Neolithic site at Choirokoita, which lies around 20 miles west of Larnaca, was inhabited around 6000 BC and is a UNESCO World Heritage Site.